We are now into day 2 of preparing the 13th Ice Music Festival in Finse, Norway. 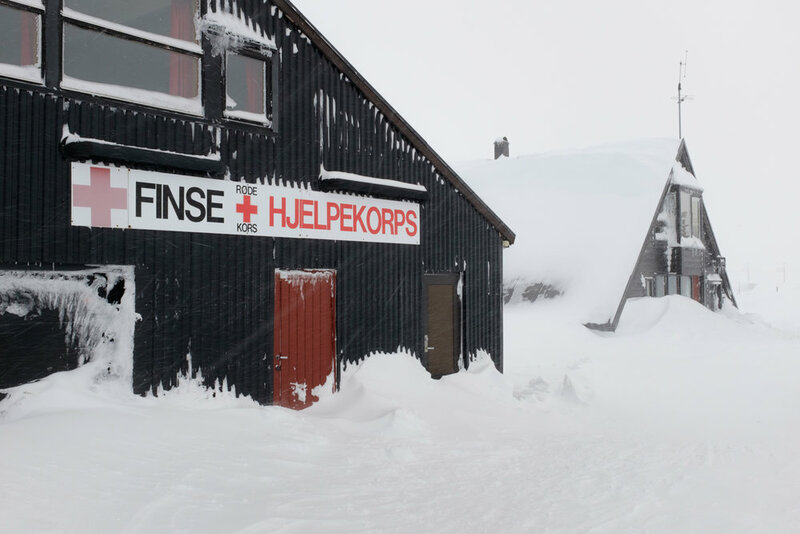 Finse is famed for its winter conditions and this week hasn't disappointed with 2 days and nights of high winds and constant snowfall. This afternoon has proved fairer and the sun even made a brief introduction through the snow kissed sky. The amazing team of degree students from Norway's prestigious Faculty of Art, Music & Design, at the University of Bergen (KHiB) are here creating some ambitious ice structures to house the stage, ice instruments and audiences! They are working flat out each time the weather is kind to them. The crew are headed up by world renowned architect Professor Petter Bergerud, who's a leading master of experimental structures and geometric challenges. You can read more about him in this previous news post. Here they are surveying the spot where our festival will rise.